The following post was originally published on the LinkedIn Talent Blog. You can find the original post here. Last week LinkedIn released their Top 10 Company Pages of 2013. I was surprised and excited to find NPR among them, listed alongside organizations like Kellogg, Adobe, Dell, Mashable, Hubspot and more. As an admitted employer branding geek, I’ve been preaching the benefits for years. I’m also a believer in open-source approaches to work, so wanted to share some of the tips and tactics that helped us make this list. But wait, isn’t NPR a household name? In the U.S., this is true. NPR has been around for over 40 years. We’re fortunate to have an incredibly engaged audience, and fans who support us. This certainly gives us an advantage around discovery, but LinkedIn company pages followers are only part of the formula. The real keys are content and engagement. Your name may get people to click the ‘follow’ button, but name alone won’t get them to return and engage with you. Don’t you need a big staff and resources to be effective in talent branding? This tends to be one of the bigger misconceptions about social media in general, particularly as it relates to recruiting and employer branding. You don’t need an army of Community Managers to be effective. You need discipline, and tools, and a learned sense of time management – but even if you’re a team of one, you can make an impact. At NPR, we’re a non-profit with limited resources and a lean three member recruiting team. This means that I solely manage our LinkedIn company page (among other responsibilities). It can be done effectively, you just need to be disciplined with your time and use tools to enhance your efficiency. More on that later. First, you want to make sure you have the basic page content covered. Some of the sections (about, location, testimonials, etc.) are obvious. Others, like the ability to embed video and most any external link, may not be. Video in particular is a great way to highlight your culture and shine a spotlight on your employees. You can also include links to employer branding campaigns you have on other networks. 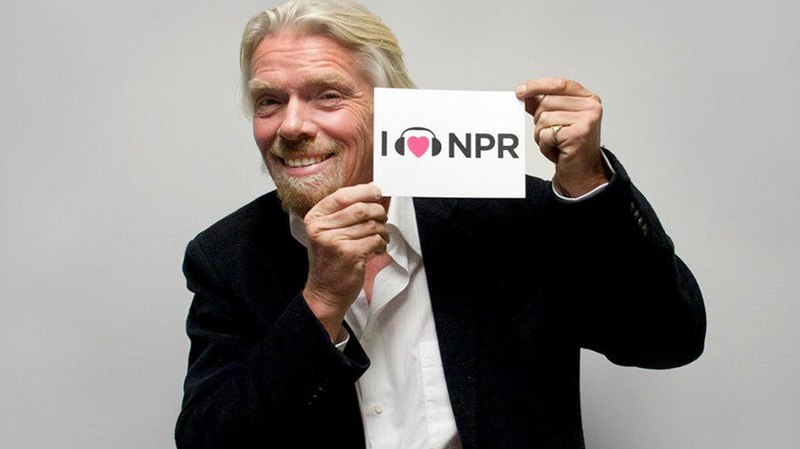 For example, we have a cross-platform initiative called #NPRlife. This is a collection of tweets, instagrams, and other posts across social networks from our employees sharing their experience of what it’s like to work at NPR. We use a free tool called Tagboard to aggregate that content, and promote that page within or LinkedIn company page. LinkedIn has placed a big emphasis on creating more robust employer branding capabilities over the past year. They’ve released several branding resources to help organizations in this effort. If you haven’t checked them out on Slideshare, I’d highly recommend starting there. One of the key components of building a successful LinkedIn company page is regular status updates. This is really the key to building engagement and community on your LinkedIn company page. By providing regular updates, you give your followers a reason to keep coming back, engage, and share [see SS7 attachment]– regardless of whether they’re currently looking for a job. This engagement fuels discovery and helps draw new followers to your page – and ideally your jobs. This can be quite time consuming if you’re not disciplined with your schedule, but there are two tools I use to help me manage a regular content calendar. I transitioned to Digg after the unfortunate demise of Google Reader, but there are a variety of other useful tools you can use. RSS readers allow you to aggregate content to a single destination. You can subscribe to websites, blogs, YouTube channels, Google alerts, etc. and have all of that content fed to a central source. You can then categorize that content into folders based on your target audiences (if you manage multiple social media channels). It’s an easy way to spend a short amount of time reviewing content that might be appropriate to share with your audience. I’m a big fan of Buffer, but there are many other useful tools like HootSuite that can help you manage your posting schedules. This is really a key time saver for lean teams. Buffer allows you to queue up posts to share with your social networks, and determine the day/time/frequency of each post. If you use a Chrome browser, you can install a Buffer applet right into your browser to add any website to your Buffer queue with one click. This saves an enormous amount of time, and allows you to maintain and active content sharing schedule – even when you’re off focusing on other responsibilities. This is a crucial component to any social media strategy. Without it, you have no real sense of whether your efforts are making an impact. This is where LinkedIn adds value by providing real-time engagement analytics directly under each post. It allows you to see what kind of content you’re audience is most interested in, and vary your content accordingly. The Analytics tab of the LinkedIn company page also provides valuable data to help you understand your audience; including clicks, likes, comments, shares, followers acquired, and engagement %. These metrics are useful tools to help you continually re-calibrate and refine your content. Another interesting widget in the analytics dashboard is the ‘How You Compare’ dashboard. This gives you a view of how your follower count compares with other organizations. Let’s face it, recruiters are competitive. We want our organizations to win. This gives you a bit of perspective on how you’re doing on LinkedIn, and perhaps gives you some best practices to emulate. Social Media has transformed the landscape of how brands and consumers interact with each other. This holds true for recruiting and talent branding as well. Engagement and conversation are vital components of any successful talent branding campaign. It’s important that you regularly monitor comments to your posts, and weigh in where needed. Whether it’s a question about your internship program based on a post you shared about the deadline, or a conversation about the changing landscape of your industry, successful organizations understand why it’s so important to be a part of that discussion. If you approach status updates as one-way broadcasts, you’re missing opportunities to engage more deeply with your community. I’ve also found it valuable to mix up our content. When LinkedIn first enabled company status updates, NPR’s posts were almost exclusively company news and updates. As we began to vary content, ranging from career trends to education to technology, we found our engagement levels (and followers) begin to increase. Your followers clicked that button because they have an interest in your company, but to really provide value to them it helps to vary your content to include more than just company updates. While there’s no exact playbook for developing an engaged audience in LinkedIn brand pages, these steps have helped NPR make the top 10 list for 2013 (also worth mentioning, the #3 source of applicants). I hope you found them helpful. What suggestions would you have for someone tasked with building a robust LinkedIn company page? Leave your tips in the comments below.